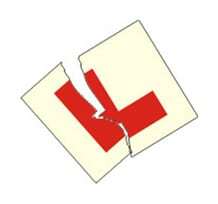 No 'L's Day Exclusive to MTS For Any 'L-Plate Free' Rider! Fantastic, you’ve passed your motorcycle test, got a motorbike and enjoy the freedom of the road, but there’s still some confidence building to be done. Confidence comes with experience, and hooning round the lanes with your mates isn’t always the best way to gain good experience. The pressure of not being left behind, being ‘captain sensible’, ‘the newbie’; we’ve all heard it before and no matter how much time and money we spend getting through that course and passing our test, we still get pulled into ‘keeping up’ with the guy in front, sometimes with the risk of it going wrong and possibly costing more than just our licence. Because so many of our motorcycle students dreaded this sort of pressure, but wanted to go riding with their mates, MTS Sussex has introduced the No 'L's Day. A day out with your instructor, on your own bike, no L Plates anymore, and no teaching you how to ride, after all we’ve already done that! We’re there now simply supporting what you’re doing but maybe with a little fine tuning in areas that you’re not so confident with. In a nutshell, allowing you to gain experience without pressure, thus gaining confidence with your new bike and yourself. The day will be set at your pace, and if there’s certain things you want to focus on specifically, that’s just what we’ll do. Without the worry of a test at the end of it or being the last one to the café you’ll find your confidence building as your skills develop throughout the day. And by the end of it you should be ready to enjoy a ride out with your mates too. For just £150 a day, you’ll be amazed how confidant a No'L's Day will make you!